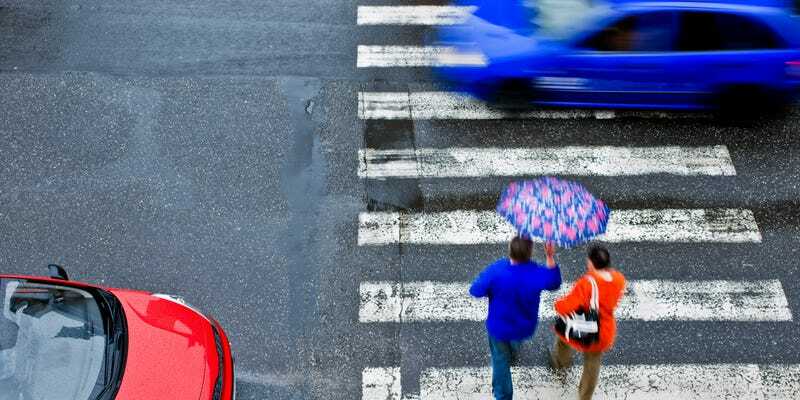 Bosch has announced that it’s been working on a system that can detect and help avoid pedestrians that step out in front of cars, and it hopes to fit it to production vehicles as soon as 2018. The Engineer reports that the system, developed at Bosch’s R&D centre at Renningen in Germany, isn’t fully autonomous, but instead intervenes if a driver’s response to a situation will alone not prevent the collision. It uses a stereo video camera to monitor the road ahead for pedestrians and traffic, with software predicting the likely paths that they’ll take based on their speed and direction of travel. Those algorithms are based on huge datasets of pedestrian behaviour, captured from hours of dashcam footage. This provides it with an understanding of when a collision may be about to occur. However, the system doesn’t actually do anything until sensors detect changes in steering angle, vehicle speed and yaw rate instigated by the driver. Then, if the system believes that the driver reaction alone is not enough to prevent a crash, it will provide braking and steering assistance to try and help out — and even then only if the path is clear, and will remain clear, of pedestrians and traffic. The team behind it claims that as long as the driver reacts a half second before the collision, the autonomous system can help avoid a crash in 60 percent of cases. It may sound like a strange idea to do nothing unless the driver does something, but it neatly sidesteps the complexities of autonomous car ethics that are currently causing auto manufacturers, researchers and philosophers plenty of headaches. This way, the car is only ever doing what the driver plans to do; it doesn’t have to think about the outcomes of its actions. Whether Bosch’s offering is quite that impressive remains to be seen. But the company is hopeful that it, or at least a system like it, might find its way into production cars by 2018.